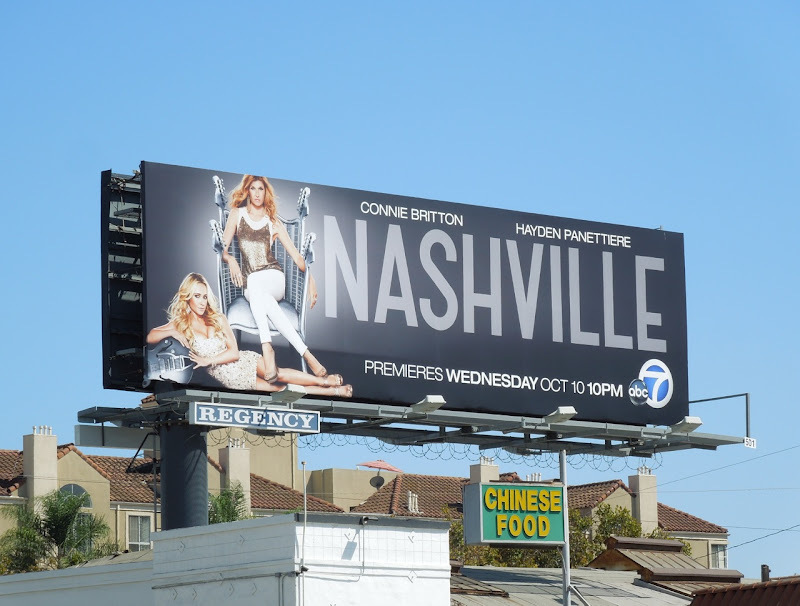 Daily Billboard always loves it when new shows make that extra effort to get noticed. 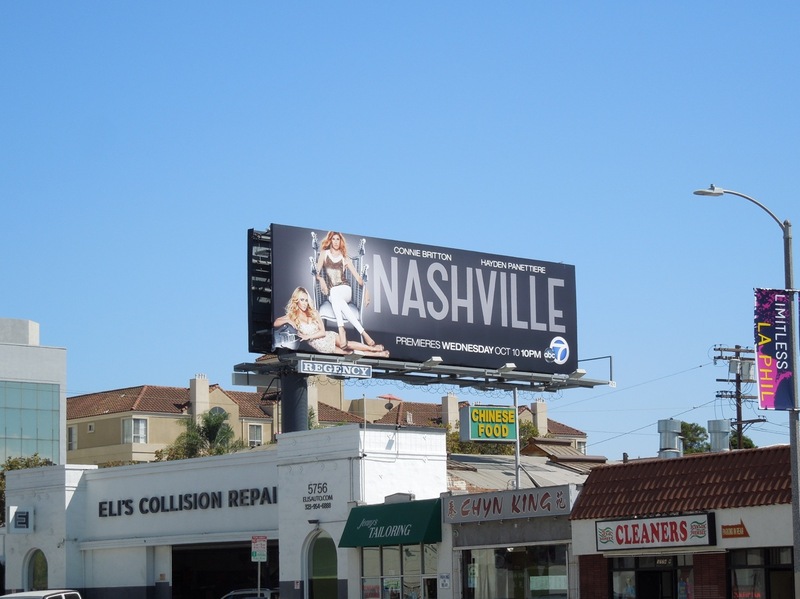 Take for example Nashville with this giant-sized billboard along L.A.'s Sunset Strip. 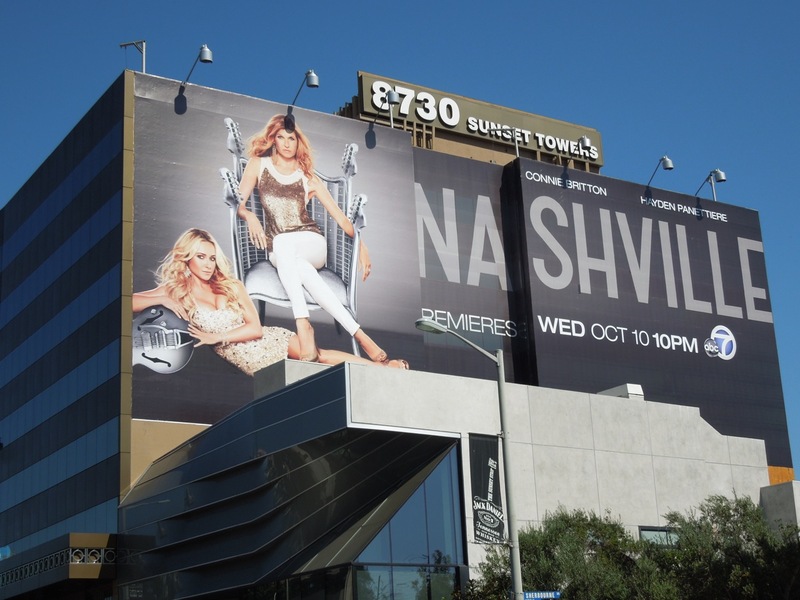 The new musical drama follows the fortunes of a fading Nashville superstar 'Rayna James' who is forced to team up with the latest fame hungry teen sensation, 'Juliette Barnes', in order to keep her record company happy and continue to be relevant to a new generation of music buyers. 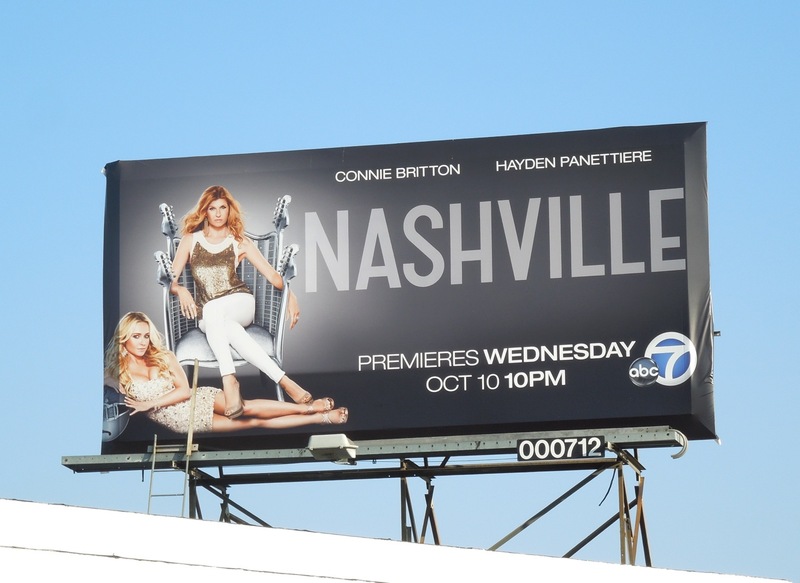 Daily Billboard loves this visual of Connie Britton sitting on a guitar-themed throne to reflect her fictional country singer legend status, with Hayden Panettiere sitting at her feet to signify the young newcomer nipping at her heels. In addition in the show, Rayna's husband decides to run for office, hoping to share the spotlight for a change, so there's sure to be lots of political intrigue to add to the backstabbing and insider drama of the music world. From the writer of Thelma & Louise and with Connie Britton enjoying recent on screen success in the critically-acclaimed American Horror Story, plus Hayden Panettiere's credentials as the feisty cheerleader in Heroes, this pairing promises some compelling viewing. 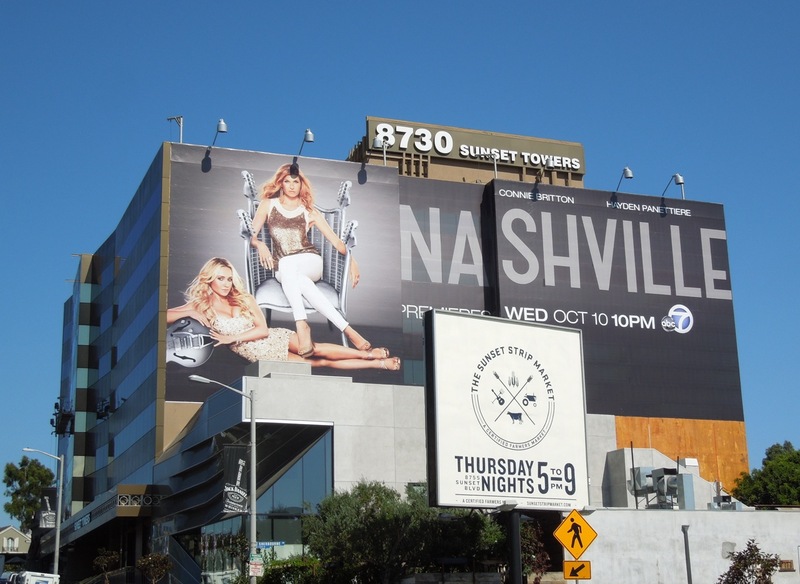 The standard landscape billboard was snapped along 3rd Street, whilst the super-sized billboard was spied on the side of Sunset Towers on September 6, 2012. 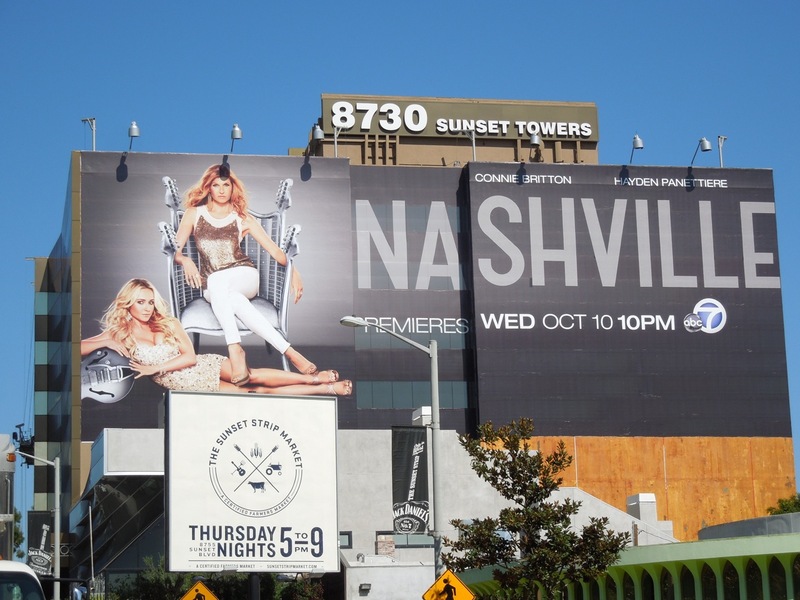 The Sunset Strip creative also utilises the middle section of the wall, which previous advertisers in the same location have not, making this billboard stand out even more. Stick around this week for even more great ads for new season debuting shows and returning favourites. 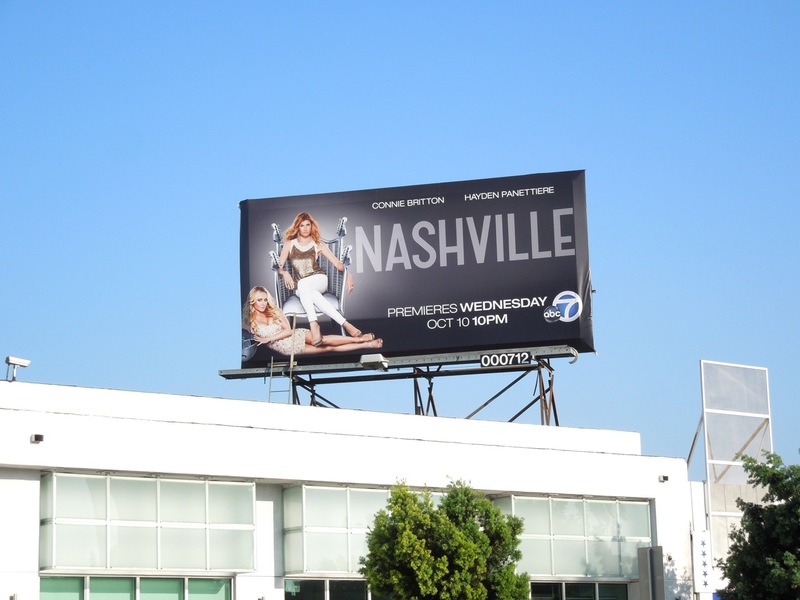 UPDATED: Here's also a mini-version of the billboard creative for the new drama, snapped along La Cienega Boulevard on September 26, 2012.